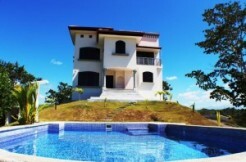 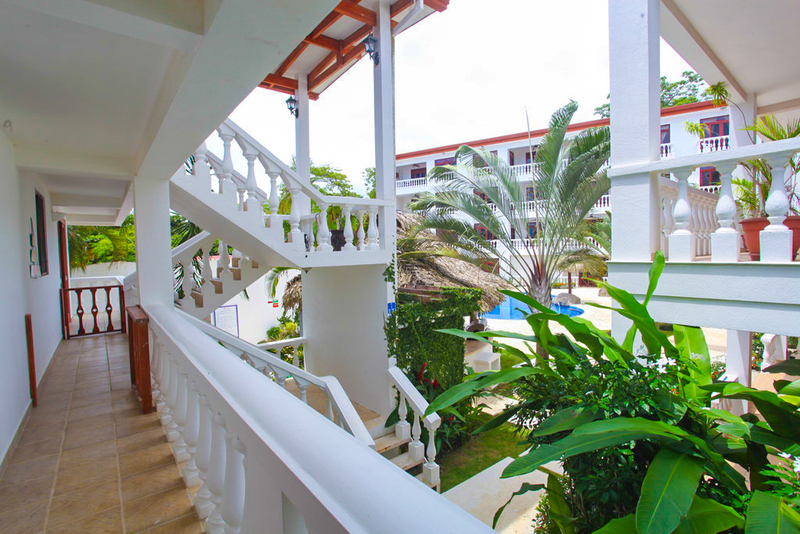 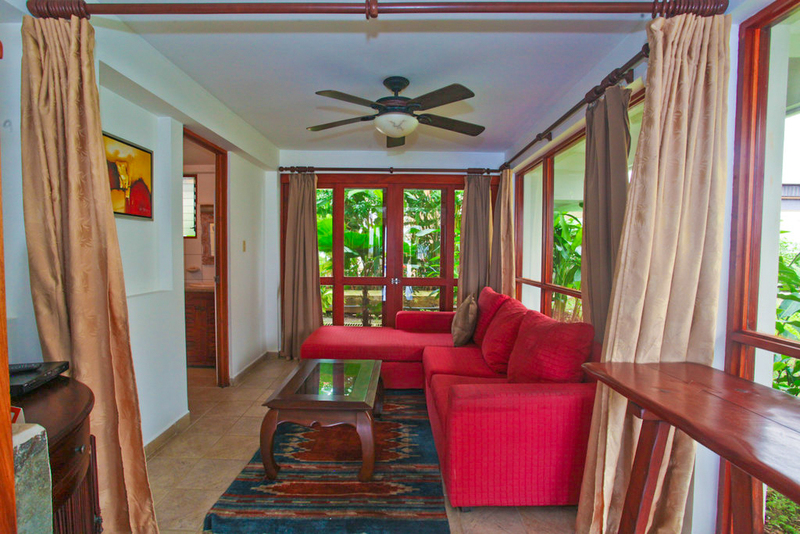 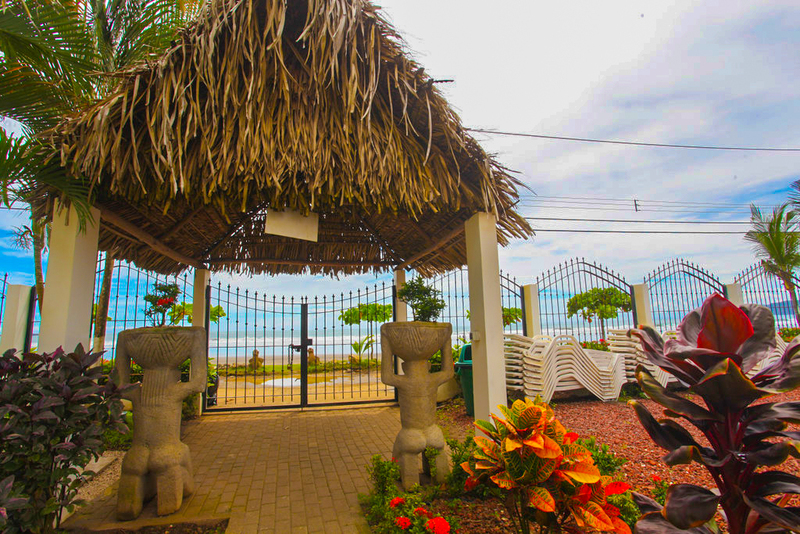 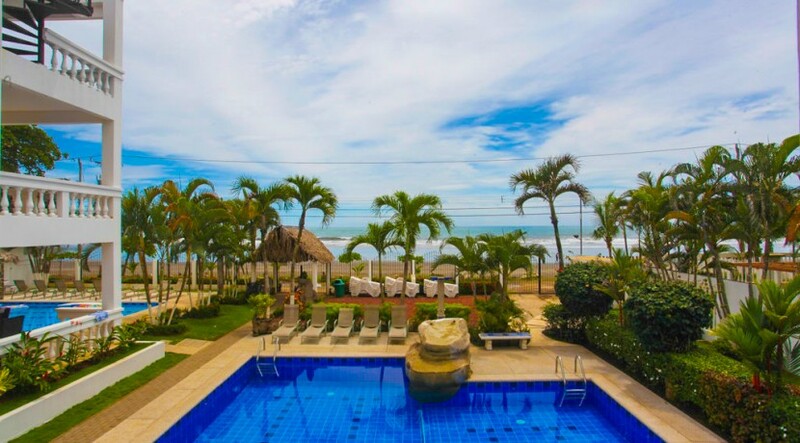 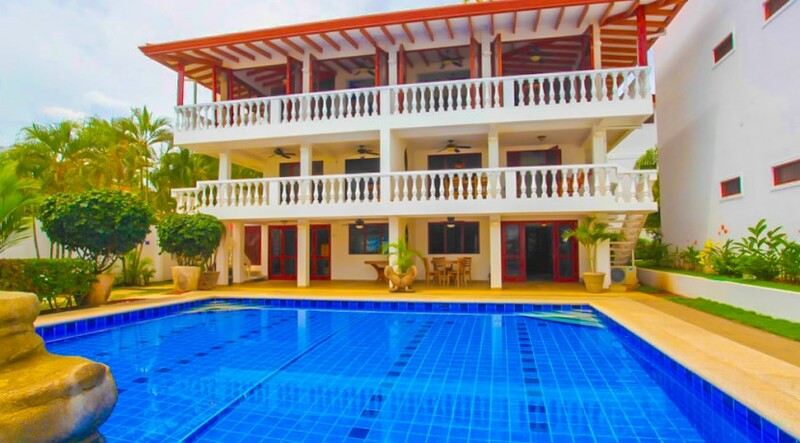 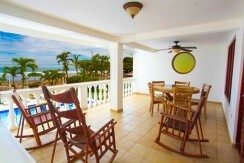 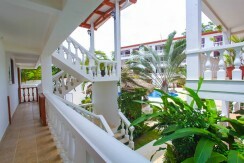 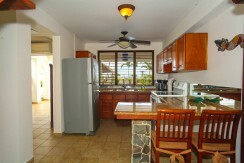 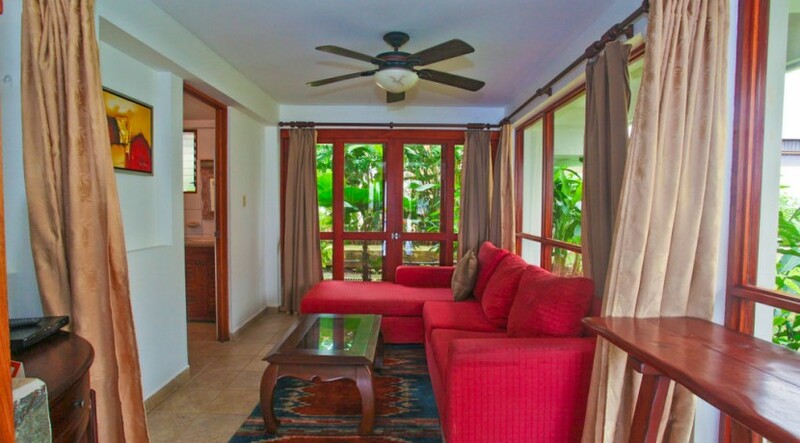 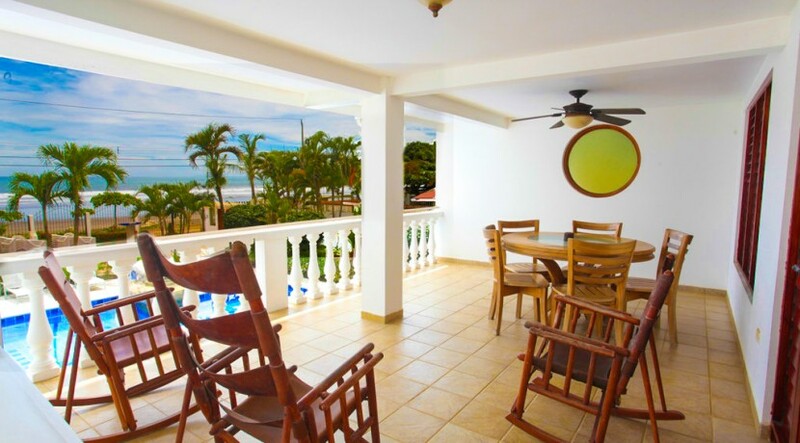 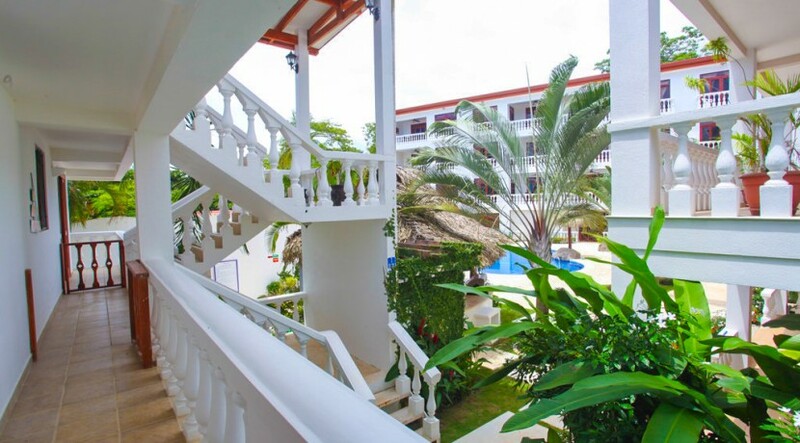 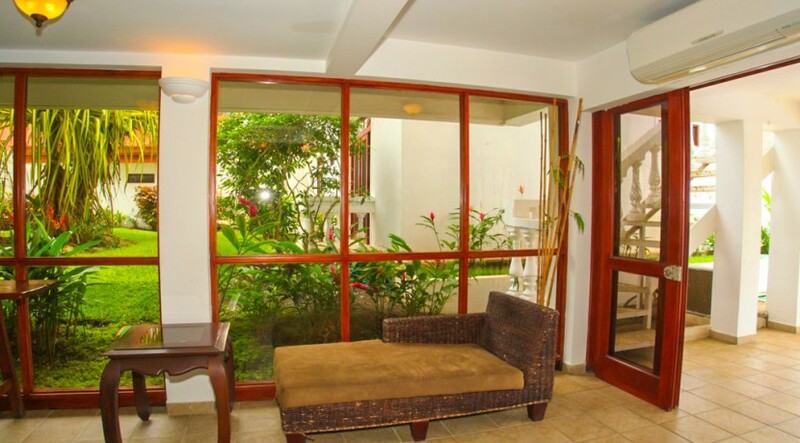 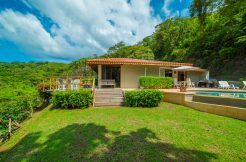 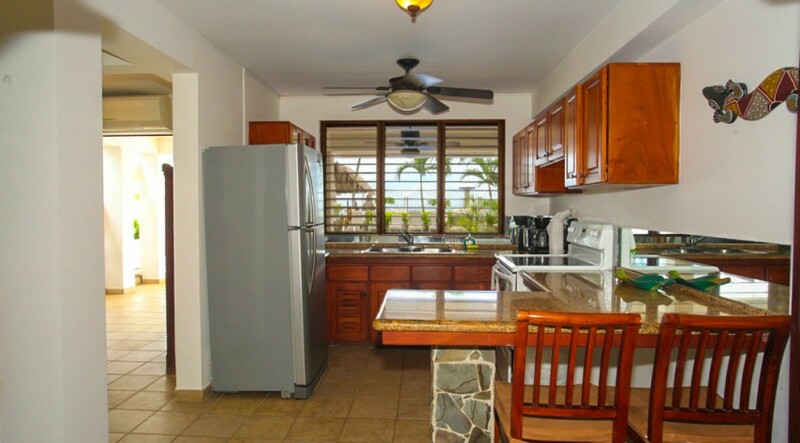 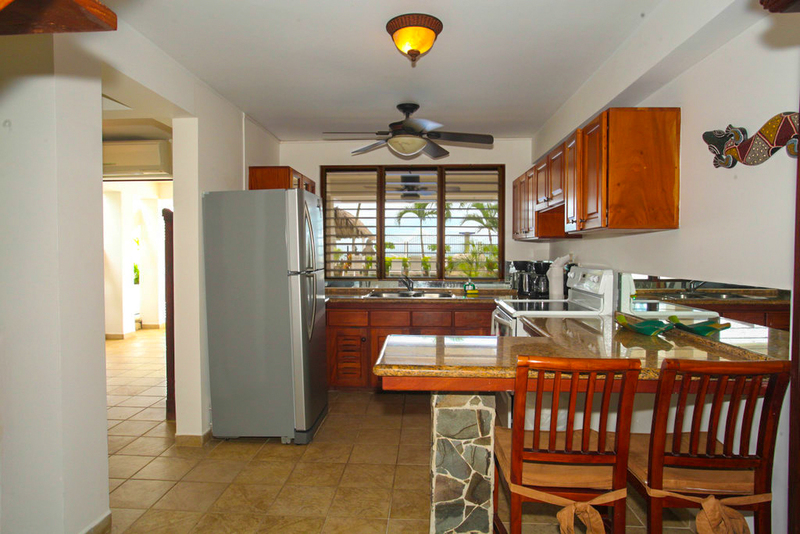 This 2-Story Beachfront Condo is situated in the beautiful town of Jaco Beach, Costa Rica. 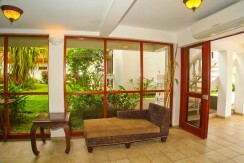 The ground level of this underrated luxury condo is where the gourmet kitchen and living are are located. 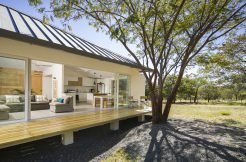 From here, doors open up to a peaceful, private outdoor sitting area, ideal for morning coffee or entertaining guests at sunset. 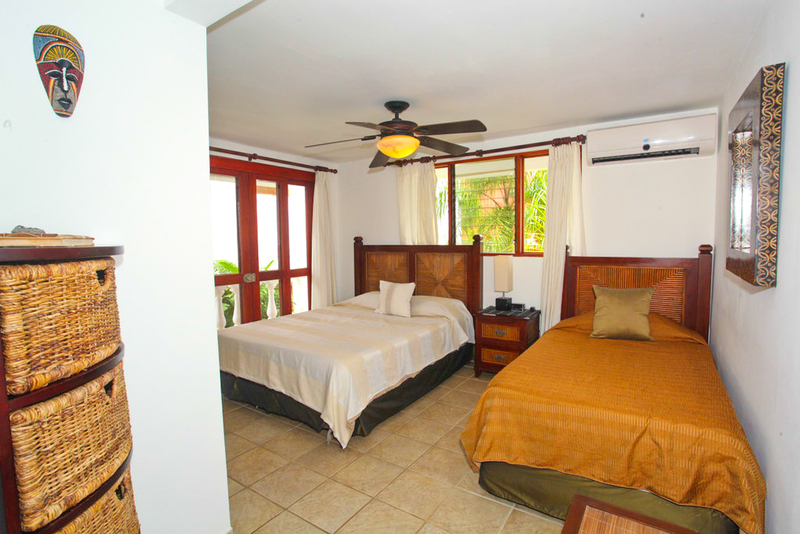 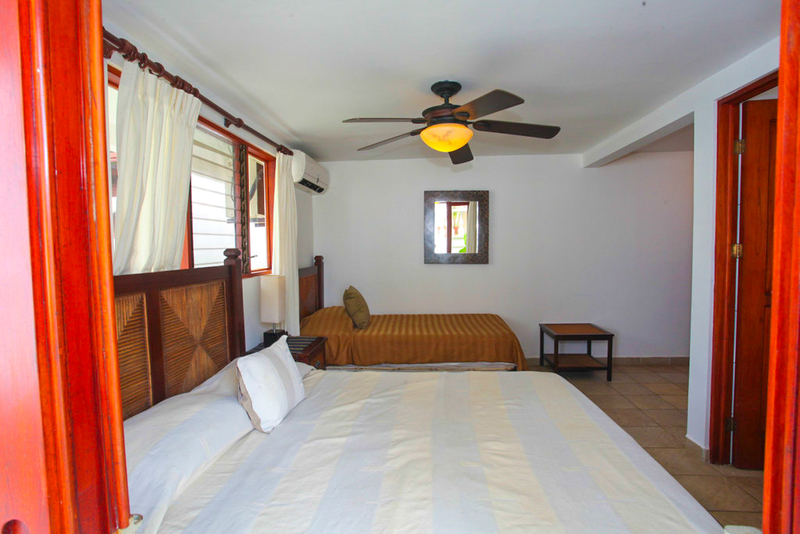 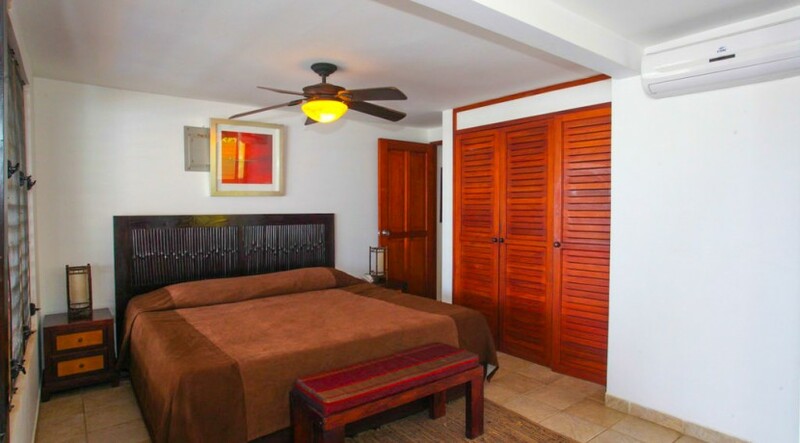 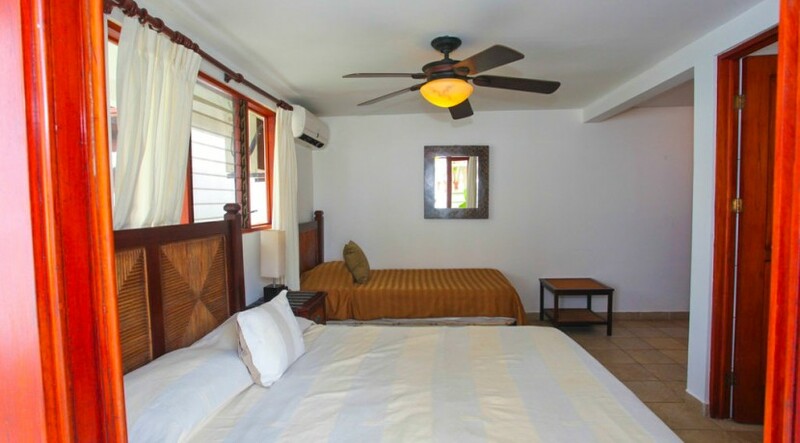 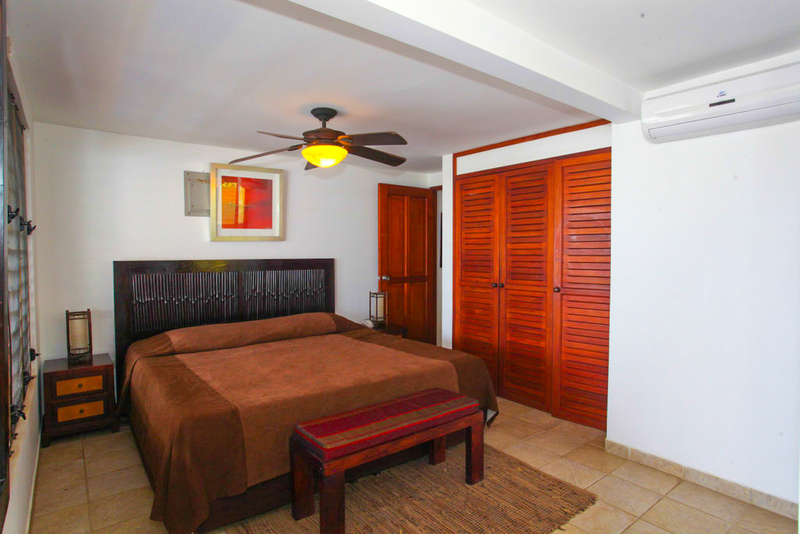 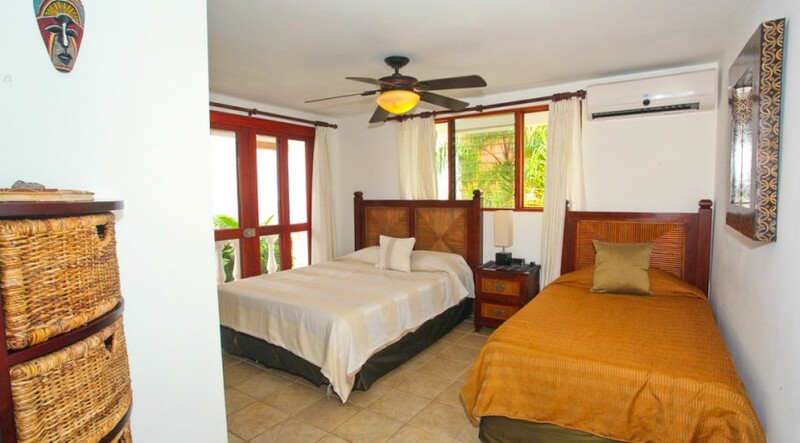 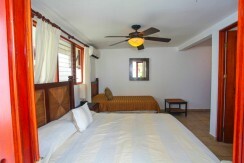 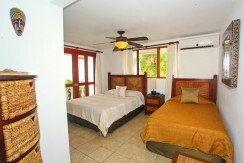 The Master bedroom is located on the second floor, and it also opens up to a large balcony that overlooks Jaco Bay. 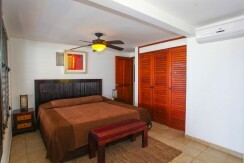 The condo also features a guest bedroom for kids or visitors! 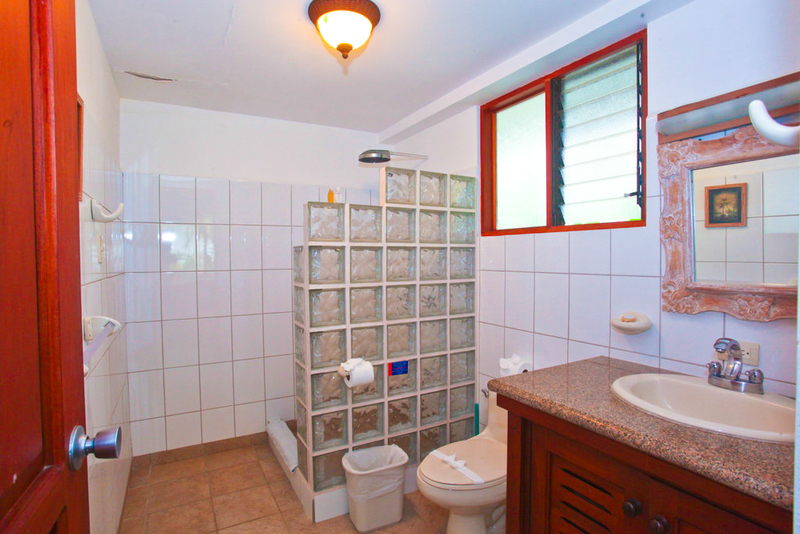 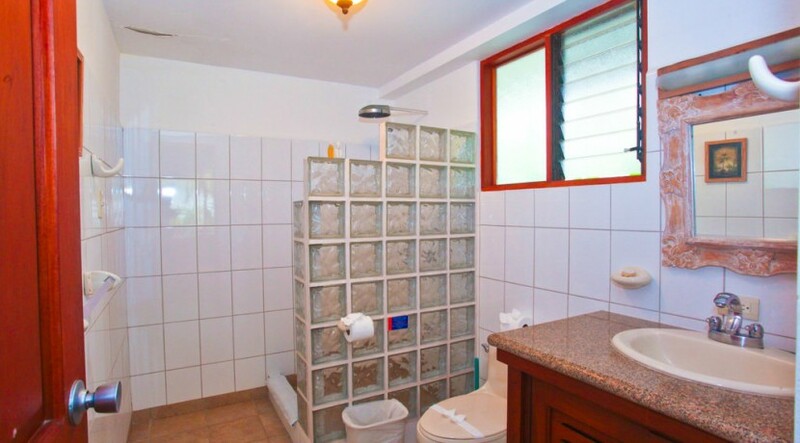 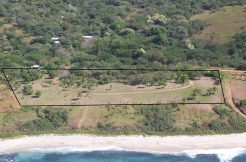 This home is located in the tranquil South end of Jaco, but is only a short walk to downtown. 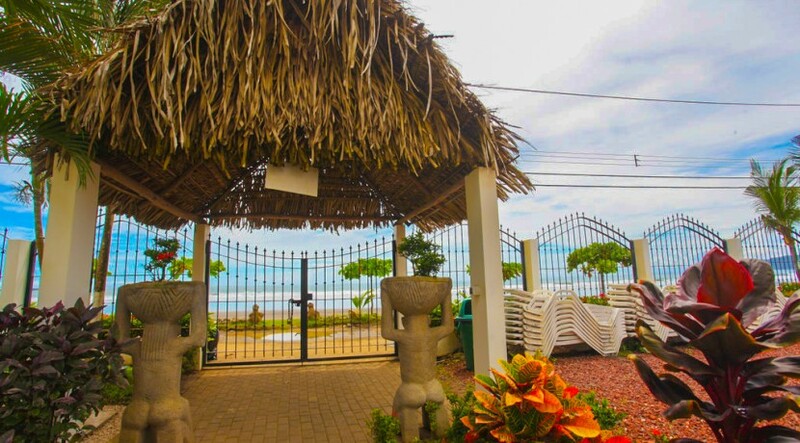 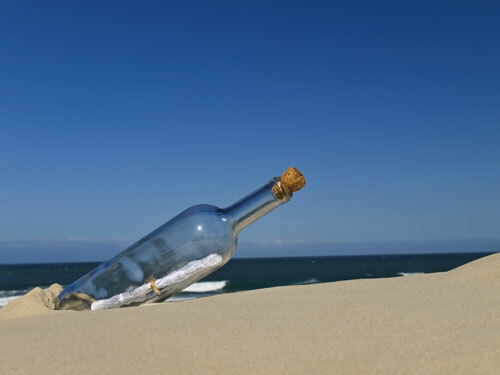 Jaco is a colorful beachtown where foreigners come from all over the world to experience. 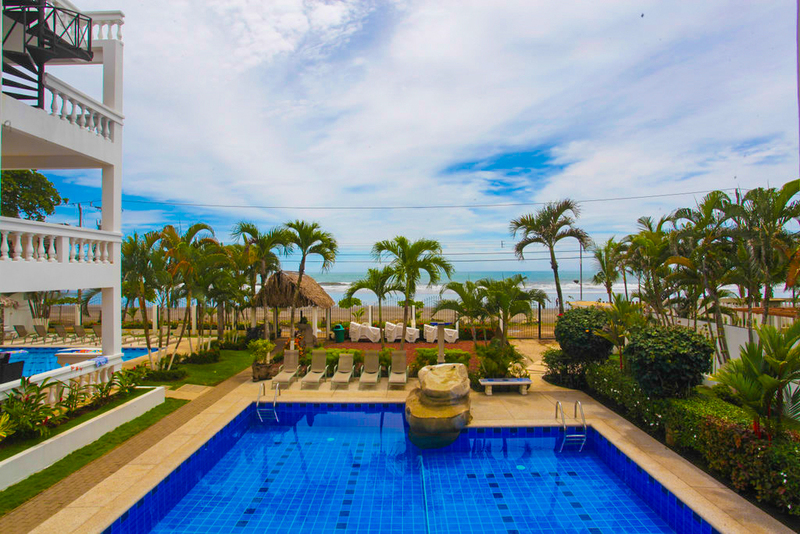 Packed with tons of fine-dining restaurants, peaceful spa experiences, and thrilling adventure activities, Jaco has something to offer for everyone! 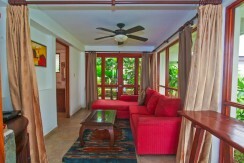 Multiple Private Outdoor Living Areas! 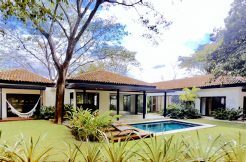 Owners of this home have access to all of the four pools in this residential community, one of which is an extremely large free-form lap pool complete with beautiful waterfalls and a kids pool. 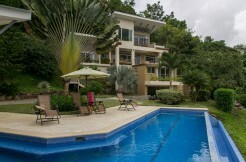 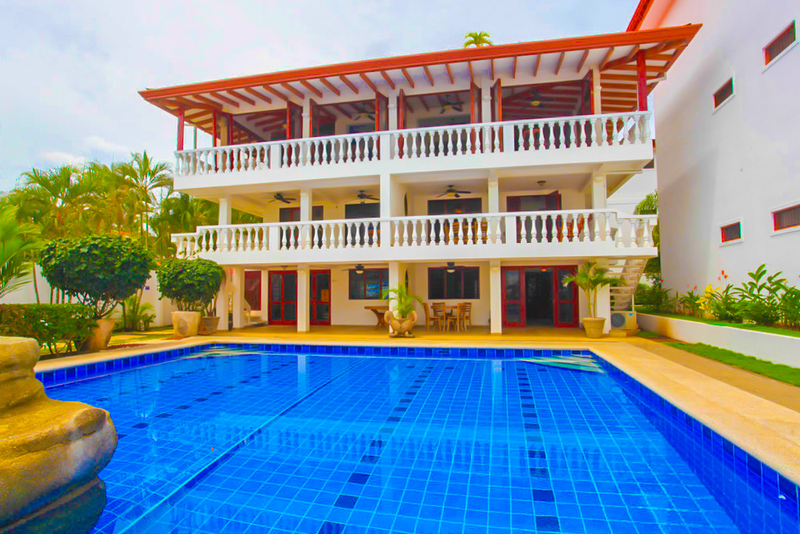 All the pools feature rancho areas and comfortable lounge chairs and a fully equipped BBQ.